Google+ is a valuable marketing tool that has the ability to draw people to your business’ website, but it has to be set up and used correctly. Taking full advantage of Google+ and its benefits includes adding key information and paying special attention to the About section. It’s easy to neglect this small portion of your profile, but you shouldn’t. This helpful section of your Google+ business page offers you the ability to promote your business, while including valuable SEO factors. The trick is to be effective, yet concise. You want to attract the user’s attention, but you don’t want to scare them away before they get to the good stuff. The tagline is the bread and butter of your Google+ About section. You get one shot at encapsulating your brand in 10-20 words. Just like a Tweet, taglines should be catchy, concise and resounding. Your tagline usually shows up in search engine results, so make sure to create one that speaks to your user’s needs. Hit a home run with the tagline and the rest is simple. 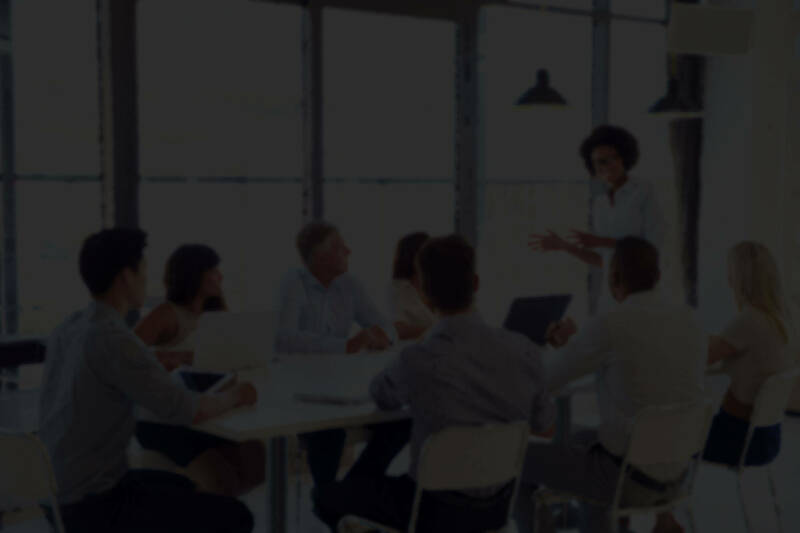 True to the name, this is where you provide an overview of your business and describe what your business is all about, its history, and its purpose. But don’t go into too much detail since an extended About section can be found on your website. Eventually, you want your users to get there to learn more about your business. Think of the introduction as exactly that—an introduction. Just like you don’t provide your life’s story when being introduced to someone new, you wouldn’t provide an extensive look into your business here—just a snapshot. You want to give users an idea of where exactly your business is located. If someone in Los Angeles is looking for a great Mexican Restaurant, they will want to know if it’s right down the street or a road trip away. 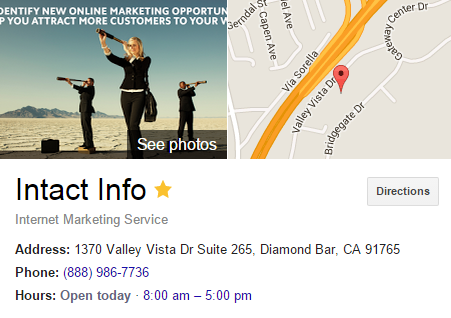 Once you verify your business, Google can use the business information you provide in local search results. Now for the keywords. Don’t revert back to the stone ages of SEO and insert nonsensical keywords for the sake of inserting nonsensical keywords—think white hat SEO. Include a couple keywords within the tagline, as the tagline usually shows up in search engine results. Then, within the intro, the links you include can be tied to keywords within anchor text. You want to link to the most relevant page of your website for that product or service. For instance, if you own a plumbing company specializing in drain cleaning services, hyperlink that phrase to your drain cleaning page. If you’re missing a page for that service, consider a content strategy to create the content you are missing. Speaking of links, providing some insight into your business or services offered is a given when it comes to the introduction section. But what people often don’t take advantage of is linking back to their website. Now, if by the end of adding your links the entire body of text is highlighted in blue, you’ve gone too far. No need to transpose your entire website into the intro section—just add a few links to your most important pages (major products or services). Remember, the goal is to take people from your Google+ page to your website. If you’re a business owner looking to expand your brand, Google+ and other social media outlets are great tools to utilize. But if you’re unfamiliar with the constantly changing landscape of SEO and social media, it can be scary territory. The good news is we can help. We’ll work with you to expand the reach of your business, from your main website to your Google+ account. Call us today at 855.815.8772 to get started.